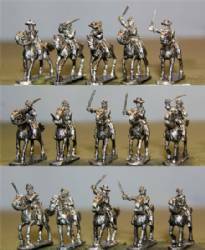 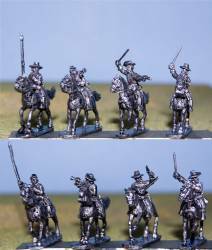 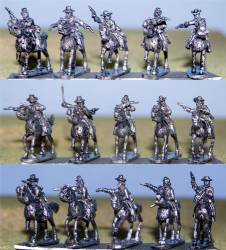 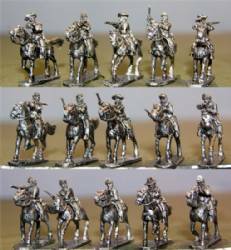 15mm scale - There are 15 mounted figures per pack. 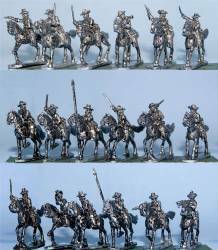 15mm scale - There are 16 mounted figures in this pack. 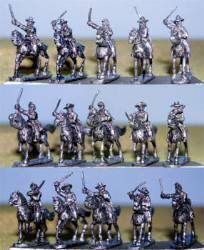 Pack consists of: 4 Standardbearers, 4 Drummers, 4 Officers and 4 Sergeants. 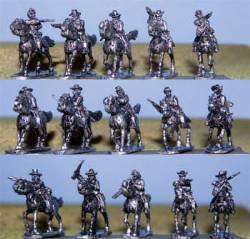 15mm scale - 15 mounted figures in this pack. 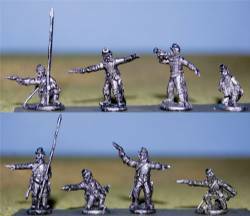 Pack contains 1 Standard Bearer, 1 Sergeant, 1 Bugler, 1 Officer and 11 Troopers. 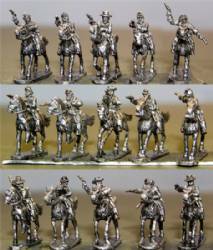 15mm scale - There are 16 figures in this pack consisting of 4 Standardbearers, 4 Officers, 4 Sergeants, and 4 buglers. 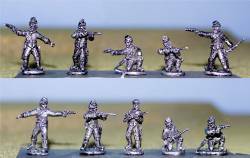 15mm scale - There are 15 figures in this pack.